INDIANAPOLIS — For the first time, the U.S. Department of Agriculture ranked a PhytoGen® brand variety with the Enlist™ cotton trait (W3FE) among this year’s 10 most planted. Two more W3FE varieties rounded out the top 20. Building on that momentum for 2019, PhytoGen is offering growers a full portfolio of these Enlist varieties in a broad range of maturities. With the 2019 portfolio, PhytoGen completes a full integration of advanced trait technologies WideStrike® 3 Insect Protection and the Enlist cotton trait across its portfolio. Every one of the PhytoGen brand varieties has PhytoGen Breeding Traits™ for built-in protection against diseases and pests. The very popular Northern High Plains variety, PhytoGen® brand PHY 250 W3FE returns, accompanied by a new 200 series W3FE. These two early maturing PhytoGen® brand varieties offer excellent, consistent yield and fiber quality. These smooth leaf, shorter stature varieties are best suited to areas with moderate to good water and medium to heavy soils. Both are storm-tolerant and carry the PhytoGen Breeding Trait for excellent verticillium wilt tolerance. PhytoGen expands the widely planted 300 series varieties launched last year — PhytoGen® brand PHY 300 W3FE, PHY 330 W3FE and PHY 340 W3FE. For 2019, the company launches PhytoGen brand PHY 320 W3FE and PHY 350 W3FE to round out the exceptionally performing 300 series. 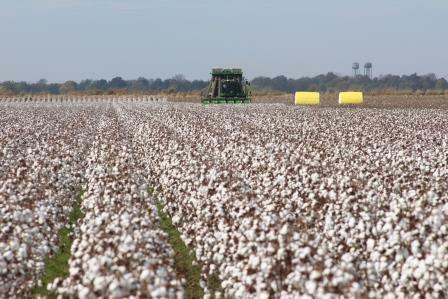 For more information about high-quality Pima and Acala varieties or new 2019 PhytoGen® W3FE varieties and PhytoGen Breeding Traits for your farm, contact your local PhytoGen territory manager or PhytoGen cotton development specialist or visit the website at PhytoGen.com. Building on the success of the past year, PhytoGen is offering a full portfolio of new PhytoGen® brand varieties with WideStrike® 3 Insect Protection and the Enlist™ cotton trait (W3FE) for 2019. To help you thrive in 2019, every W3FE variety has the PhytoGen Breeding Traits™ for bacterial blight resistance. Varieties also are available with industry-leading root-knot-nematode tolerance and verticillium wilt tolerance. PhytoGen, the U.S. cottonseed brand of Corteva Agriscience™, the Agriculture Division of DowDuPont, helps growers thrive with cottonseed varieties that produce maximum yield and industry-leading fiber quality. Growers work smarter with the most advanced trait technologies, such as WideStrike® 3 Insect Protection and the Enlist™ cotton trait. Join the discussion with PhytoGen on Facebook, Twitter and YouTube, or become a Best Yielder member. ®™PhytoGen, PhytoGen Breeding Traits and the PhytoGen Logo are trademarks of PhytoGen Seed Company, LLC. All products, unless otherwise noted, denoted with ™, ℠ or ® are trademarks, service marks or registered trademarks of their respective companies.The Enlist weed control system is owned and developed by Dow AgroSciences LLC. PhytoGen Seed Company is a joint venture between Mycogen Corporation, an affiliate of Dow AgroSciences LLC, and the J.G. Boswell Company. Always read and follow label directions.